Thirty-six times the Torah commands, “The stranger you should not mistreat, nor should you oppress him as you were strangers in the land of Egypt”. The Torah text is succinct, leaving much room for commentaries. Among them is a Midrash, a rabbinic interpretation, that implores us, “Do not scold your neighbor with a fault which is also your own” (Mekhilta 18). 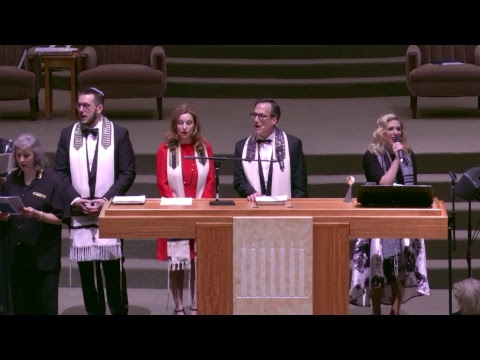 The rabbis connected the Torah text to our collective Jewish memory. Just as we read in the Passover Haggadah, “My father was a fugitive Aramean,” we are taught to see ourselves, and therefore our “fault,” as having been slaves and then redeemed from slavery. Every immigrant refugee who comes to these shores has been vetted sometimes over months or years. There are some who fail to keep their promise to us, but let’s not fail to keep our promise to them. In light of recent failures to them, our nation has been horrified by burning of mosques, the desecration of Jewish cemeteries and synagogues, and bomb threats to JCC’s and synagogues. All of it emerges from consequences of our failures to bear witness to our sacred texts. No one should be indifferent to or stand idly by when we or our neighbors face the indignity of such failures. It’s too easy to resolve that we’re all immigrants. It’s more important to say that we’re the beneficiaries of our ancestors who saw this country for what it meant to them and, therefore, to us. If we fail in our lessons from Torah, then we will have failed our parents and their parents, too.